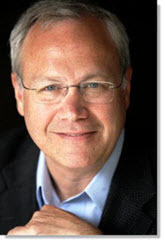 Brian Kardon is a respected marketing thought leader, a “Top 10 Global CMO,” and a seasoned executive with a 20-year track record of success. He previously held top marketing roles at Eloqua, Forrester Research, and Reed Business Information before taking the reins as CMO at Lattice Engines, a pioneer in predictive applications for marketing and sales. I caught up with Brian recently to pick his brain about the sudden wave of interest in All Things Predictive. (HS) Brian, I was at Dreamforce in San Francisco earlier this month and it seemed like every other exhibitor was trumpeting “analytics”. Even Salesforce announced their own Analytics cloud. Why do you think analytics is suddenly such a hot topic? (BK) Several factors have come together to bring analytics to life. First, the era of big data is here with the volume and velocity growing exponentially. Social media has contributed greatly, certainly, but so has the overall increase in web traffic, digital transactions, video and apps. The sheer volume of these data presents an unprecedented opportunity for marketers. The second is about the technology. Advances in technology now allow us to cost-effectively capture, store, share, analyze and visualize these data – things like faster CPUs, cheaper memory, and massive parallel processing. Exploring big data with analytics is within the reach of more organizations than ever before. The use of analytics in B2B marketing and sales is actually lagging other industries. We see it all around us. It is used in healthcare to determine which patients are at risk of developing certain conditions. It is used in fraud detection to predict which transactions are most likely to be fraudulent. Online retailers like Amazon and Netflix use it to make movie and book recommendations that are predicted to result in a purchase. (HS) Lattice offers “advanced predictive analytics” for marketing and sales. To a layman, how would you describe the power of predictive analytics solutions? Sales and marketing teams have to answer some pretty important questions every day. For example: Which of my prospects should I call first? Who is most likely to buy? Why? What else can I sell to my current customers? Which of my customers are likely to churn? For the most part, companies rely on instinct and, perhaps, lead scoring via marketing automation. Predictive analytics is different. It relies on data science to answer these questions by analyzing past “success events” and providing predictions based on a model. It is science, not guessing. And it is being used by organizations today. It is not some future thing. It is now. (HS) One of the predominant use cases for your technology is lead scoring. Do you replace, or complement, the lead scoring that a marketer might already be getting from his/her marketing automation platform? What makes predictive lead scoring different? (BK) Many marketers have found that their current lead scoring initiatives have failed to live up to expectations. A recent study found that 44% of companies using marketing automation have also implemented lead scoring. But most give their lead scoring efforts a failing grade. Rules like “give them +5 if they attend the webinar” are simply based on guessing what qualifies as a good lead. A better option is to tap into the power of predictive lead scoring. This modern approach augments the demographic and behavioral attributes that are part of basic lead scoring with thousands of additional data points, like funding, credit score, hiring, patents, locations, technologies used, social media activity and more. Modern marketers don’t have to guess which of their leads are best. They can know by applying new technology to all the data that is discoverable about their prospects. (HS) What makes a company a good fit for predictive analytics? Which are the companies most likely to see real ROI? (BK) There are several scenarios that are particularly ripe for predictive analytics. The first is “the curse of abundance” – companies with more leads than they can effectively pursue. Predictive analytics can tell you which leads are most likely to close. Therefore, you can focus your effort on just those. Citrix and RingCentral are two good customer examples. They get thousands of leads a week and only have a small team to follow up. Lattice prioritizes the leads for them. The second is “selling more to your current customers” – companies with many products to sell, but unsure which of their customers are the best targets for specific products. We do this for companies like Staples, Dell and VMWare. (HS) Lattice was a pioneer in the predictive space, but you suddenly have a ton of competition. What makes Lattice different? (BK) Simply put, Lattice helps companies grow with data-driven marketing and sales applications that make complex data science easy to use. We are the only company with a complete set of predictive applications to optimize the entire revenue lifecycle, from first conversion to customer renewal. That means we predictively score and segment leads and accounts, enable sales with predictive recommendations, and identify opportunities to upsell and retain customers. Plus we’re trusted by more than 100 customers and 50,000 users worldwide. This entry was posted in B2B Marketing, Marketing Automation and tagged Brian Kardon, Lattice Engines, lead scoring, predictive analytics, predictive lead scoring on October 29, 2014 by Howard Sewell.